How sad would a world be, where only the singular exists! Well, I actually doubt that this might actually possible. Anyway, the plural forms of nouns also exist in the German language. So, in this article I’d like to explain to you every single rule about German plural you should know. So, in the following we will analyze the different rules for forming the German plurals. Furthermore, we will have a look at words that are in the plural form but have no plural ending. By the way, in case you’d like to have some extra information about German plurals, just have a look at this article on Wikipedia. Well, let’s not lose too much time and come straight to the rules of German plurals. Auf geht’s! First of all, we will clear up how to construct the German plurals. Actually, it’s quite simple! You simply have to add the endings “-n/-en, -e, -e/-er, -s” to your noun in the singular form. 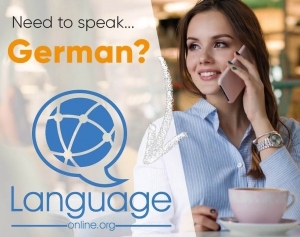 But, there are also nouns in German which have the same form for their singular and plural. Well, an example would be “Schüler” (students): Here, “der Schüler” is the singular form, whereas “die Schüler” is one of the German plurals. So, you can see that their ending is the same, only the article changes. Finally, there are German nouns that are only used in the singular or in their plural. So, good examples for these types of nouns would be “das Gold” (the gold- singular) or “die Kosten” (the costs- plural). Apart from these cases, you can see that the noun endings indicates which ending of German plurals has to be used. So, in the following, I’d like to present you the endings of German plurals in detail. So, let’s start with this list about German nouns endings which form the German plurals with “-n” or “-en” endings. Important: In case of feminine nouns wit the endings “-B”, the “n” is doubled. Third, the endings of German plurals “-ma, -um, -us” in foreign words are usually replaced by “-en“. 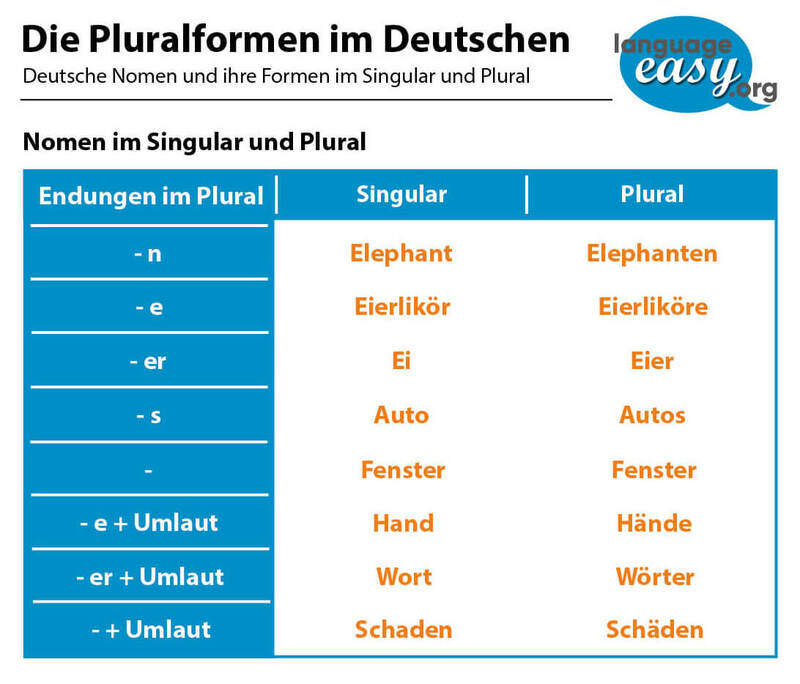 Now, we will continue with a list of German noun endings with forms of German plurals with “-e”. In the following, you will see a list of German noun endings that form the German plurals with “-r” or “-er“. Finally, here is a list of German nouns that have endings with “-s” forming its German plurals. Masculine, feminine and neuter nouns with the endings “-a, -t, -o, -u, -y“. So, here is a list of German noun endings that don’t change in the plural forms. Well, as already mentions (as as you might have noticed), most nouns can be used in the singular and in the plural. But there are also two groups of nouns which are mostly used in their singular or their plural forms.